Woodturning, a craft dating back to ancient Egypt, is a unique form of woodworking done with hand-held tools that shape and sculpt wood as it turns on a lathe. Turned wooden items have been of major importance to the development of mankind from the production of simple domestic utensils to maritime articles and musical instruments. The earliest representation of woodturning was depicted in an Egyptian tomb dating back to 300 B.C. Two men are seen operating a pole lathe, one rotating the workpiece with a cord while the other held a cutting tool to shape the wood. This design was improved by Ancient Romans who developed a lathe that could be operated by one individual, the bow lathe. Like the pole lathe, the bow lathe was manually operated, however, gave a skilled craftsman the ability to work the lathe without assistance. In the Middle Ages, the spring-pole lathe incorporated a pedal that allowed a single person to rotate the piece while working with both hands. The spring-pole lathe was powered by a green limb, or springiness of a pole, and the action of a person's foot on the treadle. This lathe enabled the worker to stand at a table and work rather than sit on the ground and turn. Spring pole lathes were commonly used well into the early 20th century. The great wheel or treadle lathe was an advancement for wood lathes because, with the extra help from the wheel, it provided continuous motion where other lathes could not. This defined a pivotal point in wood lathe history. Once it was known that the position of the wheel could be changed and that this provided more productively, the treadle lathe produced larger quantities and more variety of turned items. The explosion in population in towns and cities during the late 1700's led to the manufacture of high output machines to meet ever increasing demands for turned wooden items. The lathe benefitted from steam power. Steam engines and water wheels provided mechanized power making for much faster work. Many argue that without the mechanical wood lathe the industrial revolution could not have taken place. In 1860, the first internal combustion engine was built, however, it was years before it was produced in small reliable units to run a lathe. By the turn of the nineteenth century, oil engines were utilized in some small factories and woodworking shops assisting in production turning. After 1950, a multitude of new designs were made which led to advancements in machinery. Today, the function of the lathe is the same with surprising modern capabilities. Even though many of the items which were traditionally turned are no longer necessary or are made from synthetic materials the skills of woodturning remain strong within the craft and art communities. Gauge Design Group is well known in the Seattle area for turning large scale custom projects. Our 15,000 sq/ft manufacturing facility in Seattle houses three wood lathes, the largest having the capability of turning objects 24 feet in length and 2 feet in diameter. All three lathes also have spindle and faceplate capabilities. Projects have ranged from tugboat masts to inticately detailed handles, rendering our craftsmen capable of turning a wide array of custom items. 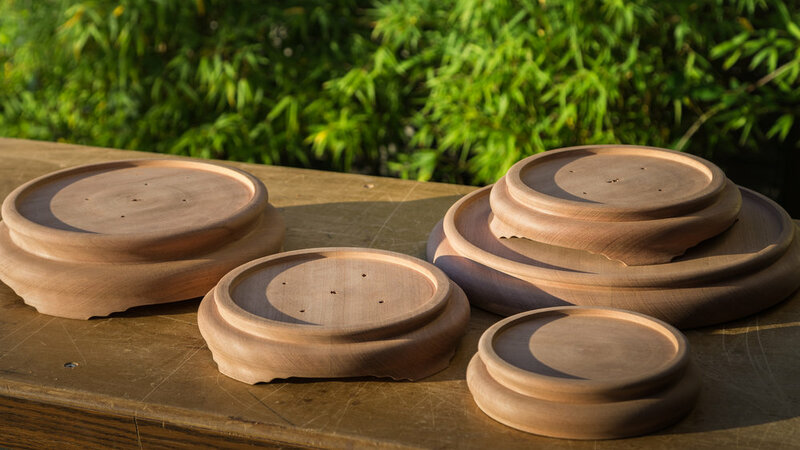 Small lathe projects include balusters, rosettes, bowls, handles, furniture feet, and lighting components. Large lathe projects include exterior columns, pedestals and bases. Our craftsman are proficient in manufacturing prototypes and other one-of-a-kind items. In 2014, Gauge Design Group added a Computer Numerical Control router, or CNC for short. Similar to a lathe, the CNC is a computer controlled router used for cutting various hard materials. Our CNC has a 4-axis attachment allowing it to operate as a lathe and is often used in conjunction with our belt driven lathes for prototyping purposes or one-of-a-kind projects. Gauge Design Group has been turning wood projects for nearly 40 years and our turned objects can be found worldwide. We've worked with a diverse range of customers who appreciate the practical and aesthetic properties of a turned item and our highly skilled craftsmen are well equipped to work with all projects, from functional objects to more artistic applications.